The Minister’s message was that cuts were inevitable given the cuts imposed on Scotland by the UK government. This did not impress the audience, or the other speaker, SCCS convener Tom Ballantine, given that regardless of any UK cuts the Scottish government has found the money to increase trunk road spending by £100m. 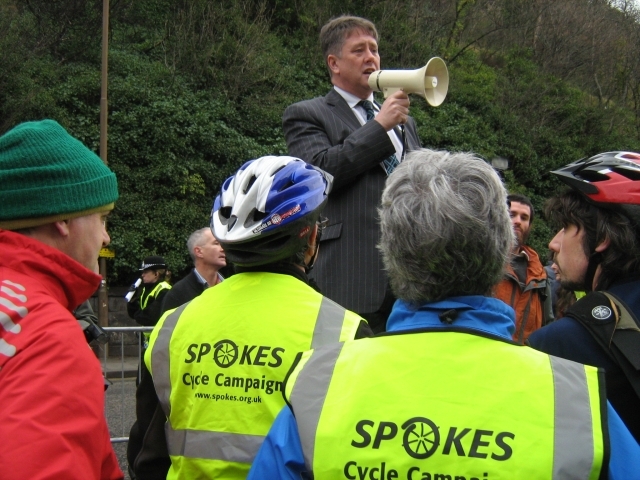 Yet only £10m would be needed to keep cycle/walk funding at the same level as in 2010/11, or just £6m to keep it at the same level as 2011/12’s already-cut level of investment [for details, see Spokes budget update – pdf 118k]. 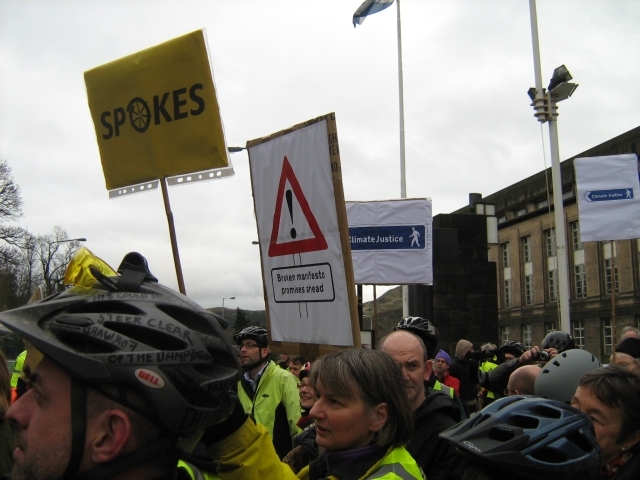 The most positive note in the Minister’s speech was a brief and rather obscure (but welcome) technical point – that he is trying to persuade other SNP Ministers to allocate some money from ‘consequentials’ to boost active travel funding. Consequentials are extra sums which Scotland gets from the UK government from time to time, not known in advance, and so not in the current budget. Any such active travel funding boost would be highly welcome, and shows the need to keep up pressure throughout the year on the SNP and on its manifesto promise. 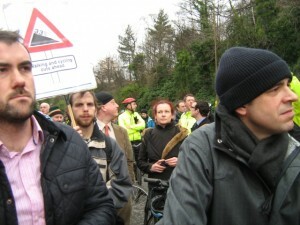 However odds and ends such as the consequentials, arriving part-way through the financial year in which they have to be spent, are far less satisfactory than active travel being given proper consideration in the budget document (which also sets the pattern of spending for future years). 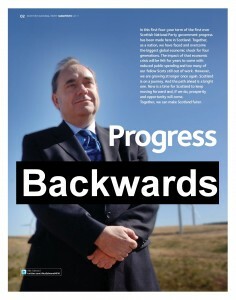 Please keep up the pressure on your MSPs. Use www.writetothem.com. Remind MSPs of al l parties about the SNP manifesto promise. The almost-final version of the budget will be published some time before 20th January, followed by a debate in Parliament, with the chance for further amendments before a final vote expected in early to mid February. The Spokes protest handout [pdf 774k], of which 300 copies were distributed at the event, gives more detail about what is happening and urges you to lobby your MSPs before it’s too late. Spokes thanks Stop Climate Chaos Scotland and Transform Scotland for organising this fantastic event, in which Spokes was delighted to participate. Thanks also to you if you turned up and/or if you’re contacting your MSPs. 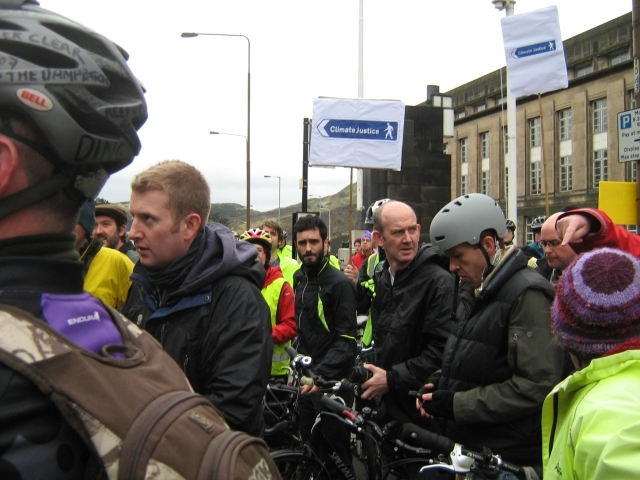 Cllr Gordon Mackenzie [LibDem, Edinburgh Council] – Convenor of Transport Committee and the impetus behind Edinburgh Council’s Active Travel Action Plan and this year’s big 2 projects – Quality Bike Corridor (KB to city centre) and Leith-Portobello link.